Great work by user Frank Drebin! Grab the source file here. Many thanks to everyone who entered, it was a blast seeing all your creations. For everyone else, feel free to list yours in the comments with the license and source file for others. I hope to run some more competitions, what would you like to see next? 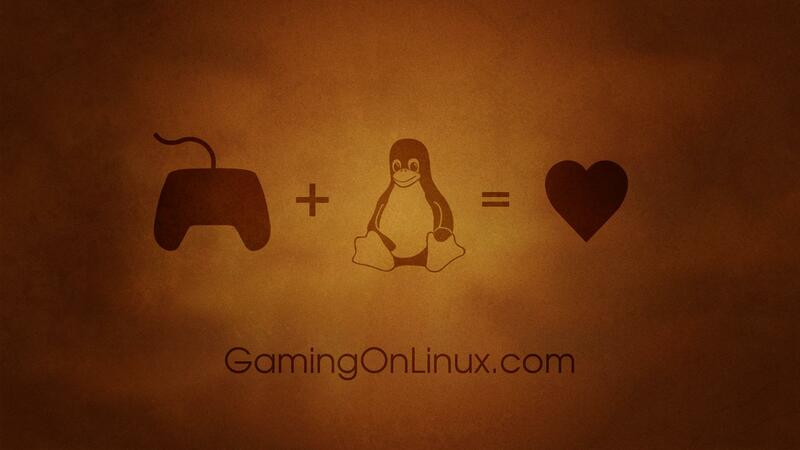 Since the winner opted for games, our next competition will be for a donation to a FOSS project. Congrats Frank. This is a lovely wallpaper. Would be even cooler to have a transparent version that you could overlay over a desired color background. Anyone with strong enough gimp-foo to do it? Awesome wallpaper! Good to see you're doing great things after retiring from Police Squad, Frank. A very nice and warm wallpaper, lots of heart in it! Crossed my mind that a GOL t-shirt / hoodie would be awesome.. I'd buy several just for support. well since the contest is over, here are some BG's templates I found. If someone has free time can create something creative for GOL. I’m not surprised this is the winner; it is simple but beautiful and fits perfectly as a desktop background. (I like that it’s dark, personally.) I have downloaded it (and a couple others!) to use as a random wallpaper on my computer . Would have been my choice as well, congrats Frank! I did make it deep blue instead of orange (that's what I'm used to), blurred the grain a bit and slightly resized the icons layer, thanks for the xcf source! I have to admit I also removed the text, as I found it distracting. I don't need reminders, it's not like I'd forget my favourite corner of the intertubes in a hurry.